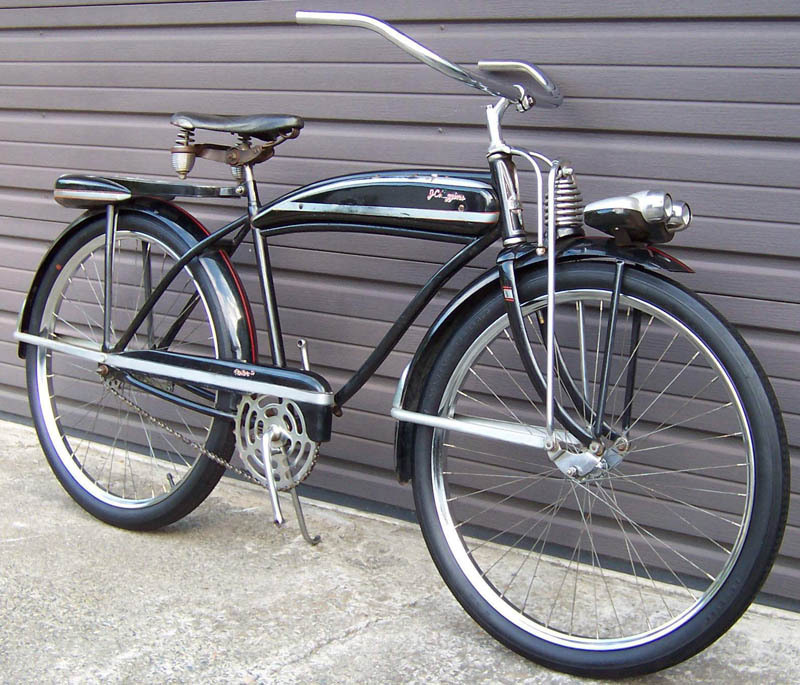 This fine example of an original, un-restored 1949 J.C. Higgins Color Flow belongs to Rick Collier. 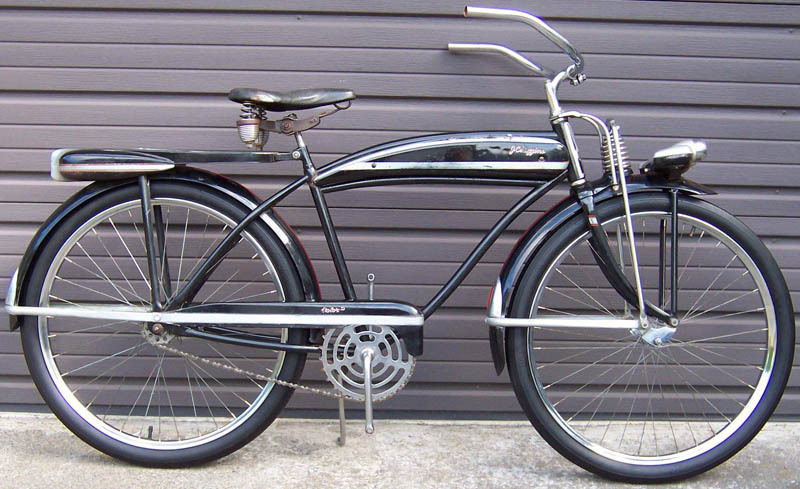 This deluxe bike features the “Batwing” dual headlight that was exclusive to J.C. Higgins bikes, sold at Sears stores. 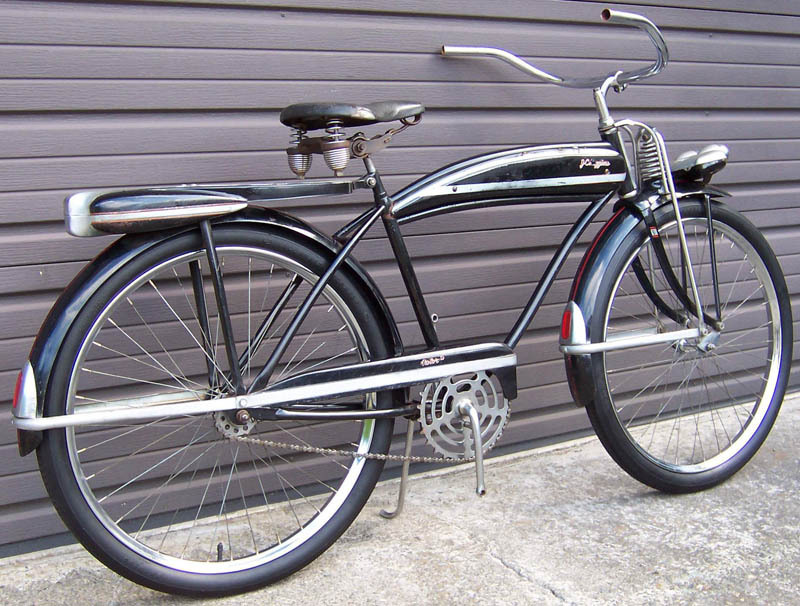 Also notice the “Beehive” springer fork. The black paint with blue and red accents look great!